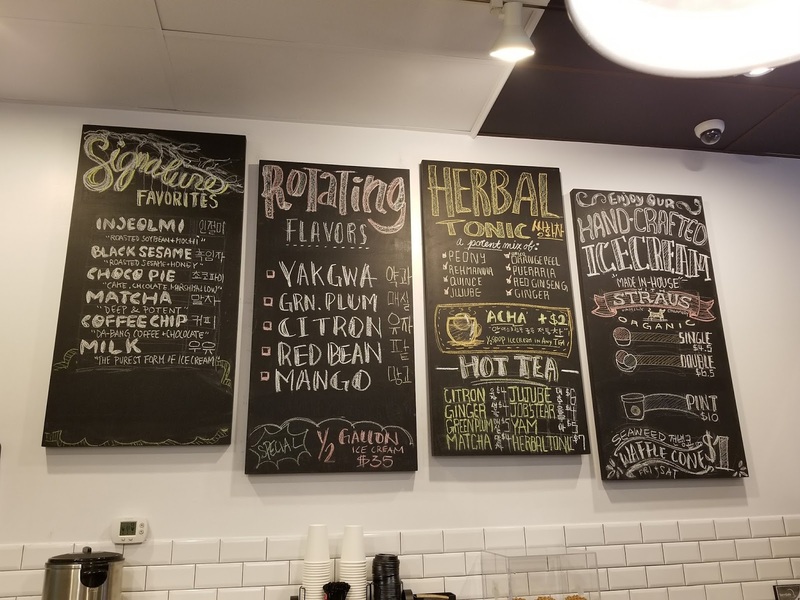 Ihwamun Ice Cream Shop Will Make You Fall In Love With Traditional Korean Flavors - EAT WITH HOP! Ihwamun specializes in made-from-scratch traditional Korean-inspired ice cream. 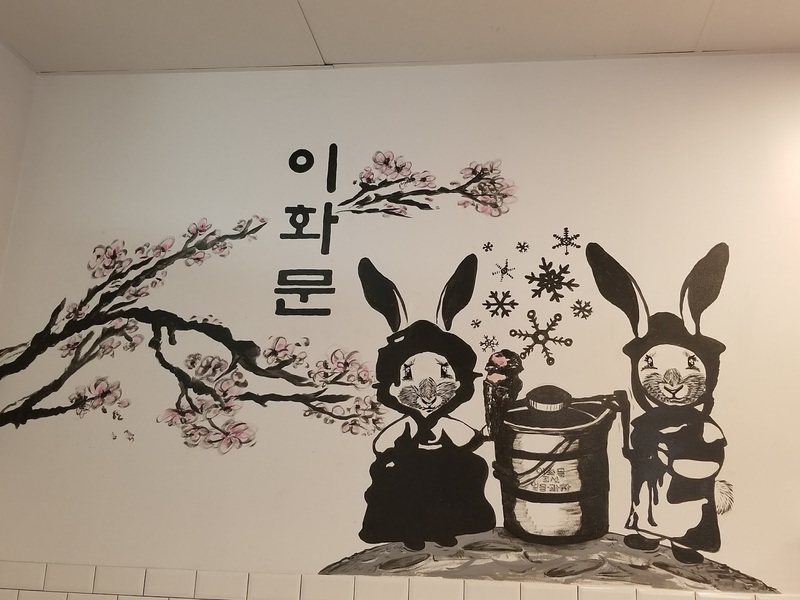 You can taste Korea in ice cream form by just going here! And apparently, according to their website, Ihwamun is the first specialized Korean ice cream shop in the country! Here is a photo of their menu! 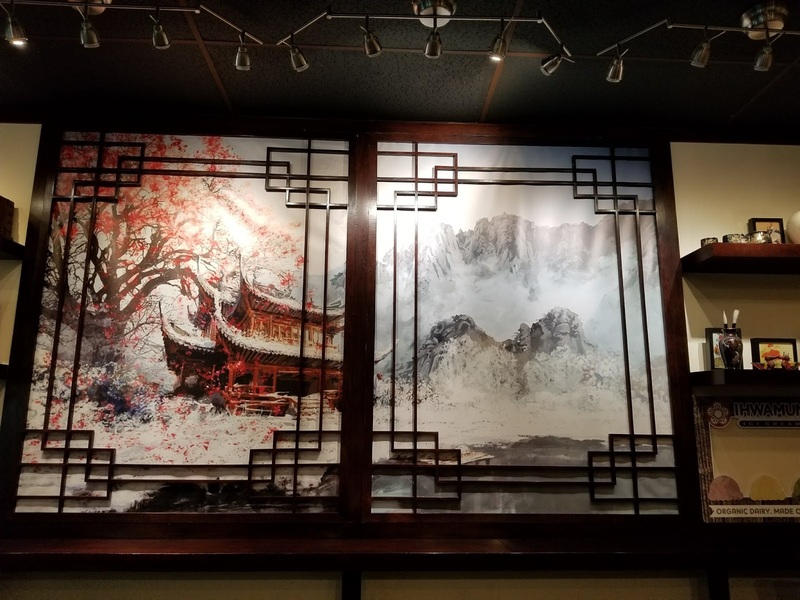 Their ice cream is Korean inspired and will give you a taste of classic Korean traditional flavors! They also have Korean drinks too including Citron (love drinking this when I have the cold), Ginger, Yam, Green Plum and more! Here is a description of their ice cream flavors! Matcha was pretty good. It's got a strong but milky and creamy taste to it. The chocopie legit tasted like chocopie! Remember, you can sample the flavors before ordering! Yum! My Korean dessert cravings was satisfied with this! I got a "one scoop" split into two flavors. You have to pay an extra 50 cents for this but the scoops are bigger than what a normal one scoop would be. The total came out to be around $5. I got the Yakgwa because I fell in love after sampling it. It is only slightly sweet and has itty bitty yakgwa cookies mixed in! My other scoop is a fave of mine: injeolmi (or kinako in Japanese) which is roasted soybean powder. It's super good and such a classic! Injeolmi is common in Japanese and Korean desserts! 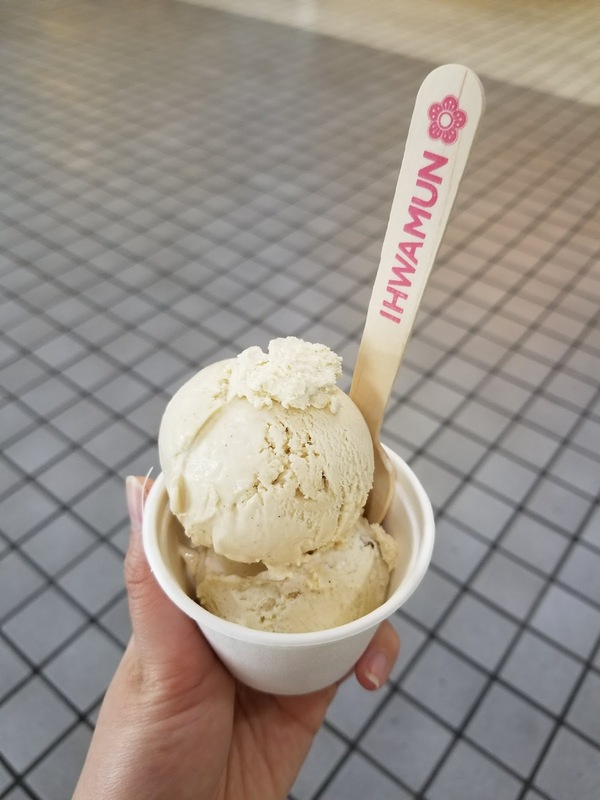 Ihwamun uses Organic Strauss Milk and makes their ice cream daily on-site from scratch. 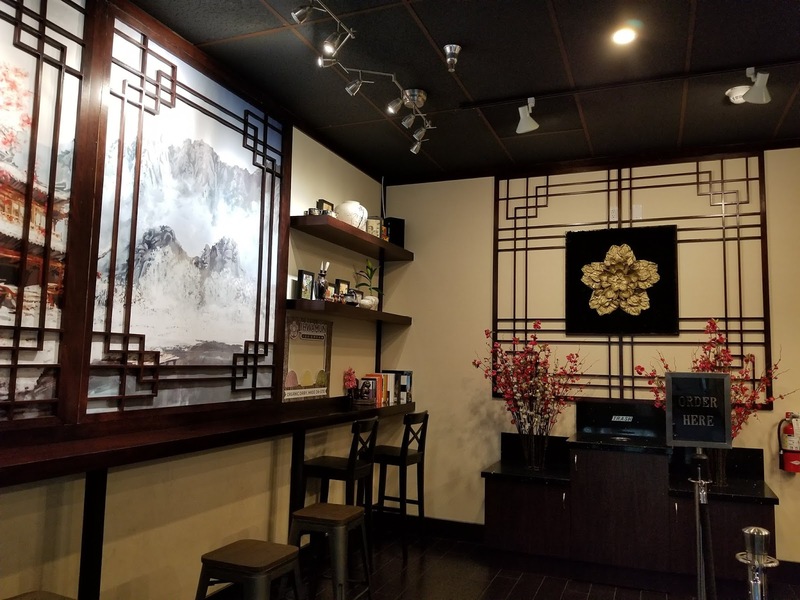 I definitely recommend this ice cream place for anyone that wants to try traditional KOREAN inspired flavors. Each lick of the ice cream made me reminisce my time abroad in Korea (used to study abroad there) because the flavors are so accurate and delicious! You can also find Ihwamun ice cream at Holy Roly, which is the first official Ihwamun licensee!